Apostille, Authentication and Legalization Services are our expertise, this process is how you get your Canadian documents ready for international use. For over 25 years we have assisted clients from all over the world with our Authentication Legalization Services, our experience gives you peace of mind. Our specialists can help you no matter what type of document you have and whether you have been asked to get an Apostille, Authentication, Legalization or Attestation. Examples of documents we often process for our clients in the Greater Victoria Region are a British Columbia Birth Certificate, Marriage Certificate, Death Certificate, Police Check, University of Victoria Degree, Personal or Corporate Power of Attorney or Incorporation documents, to name a few. When you contact us via our Service Quote Request, phone, live chat or email, one of our specialists will then help you get your important documents ready for Authentication at Global Affairs Canada and Legalization at the Embassy of the country in which the documents will be used. 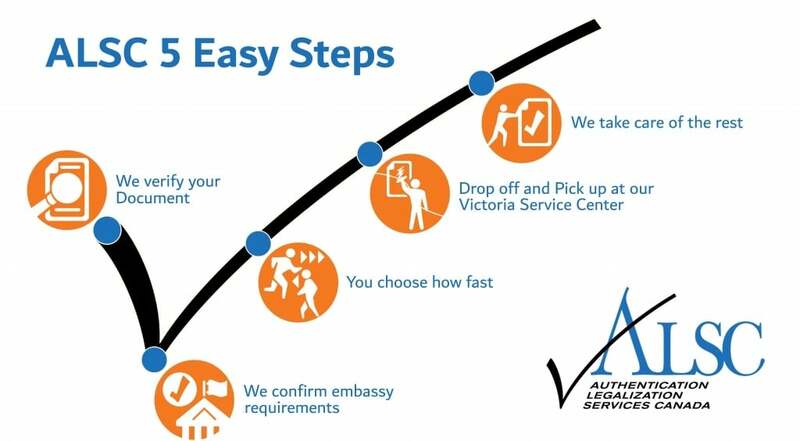 if you live in Victoria, Saanich, Langford, Colwood, Sidney or anywhere else in the Greater Victoria Region our Victoria Apostille Authentication Legalization Service Center is then easy to access for you to drop off your documents. Our Victoria Service Center saves you a trip to the post office and will also ensure that your documents are sent overnight to our Ottawa National Headquarters. If you have been asked to Apostille your documents, then do not worry, since the combination of Authentication and Legalization in Canada is the international equivalent. The difference between Apostille, Authentication and Legalization is that Apostille is a one-step process which makes your documents valid for use in all other countries that have signed the Hague Apostille Convention, whereas Authentication and Legalization is a two-step process that makes your documents valid for use only in the country at the Embassy Consulate where they were legalized. Most documents from Victoria, BC that we authenticate every day for our clients at Global Affairs Canada and then legalize at the various Embassies in Canada, are a BC Birth Certificate, BC Marriage Certificate and BC Death Certificate. These are also called Vital Statistics Documents as they are issued by the British Columbia Vital Statistics Department. You can order as many copies of BC Vital Statistics Documents as you require, which means that you can always order an original Birth Certificate, Marriage Certificate or Death Certificate. We can then help you with getting them ready for international use. 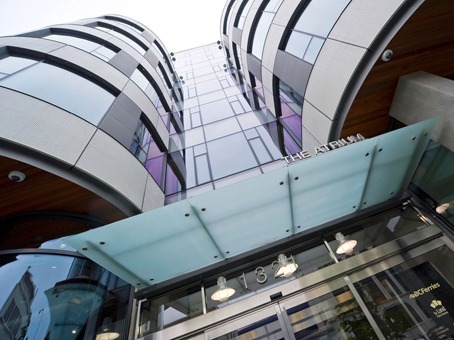 Other documents we process on a daily basis for use abroad are a University of Victoria Degree, British Columbia Incorporation documents, Police Check and Power of Attorney. No matter what the documents are, our specialists will be able to help you in getting them authenticated at Global Affairs Canada. We can get it done on the same day it arrives in our Ottawa headquarters, when using our Priority Authentication Service, saving you valuable time compared to the Global Affairs Canada mail-in process. Our verification before you drop off your documents at the Victoria Service Center, guarantees that Global Affairs Canada will authenticate your documents, so you don’t have to worry and you can let us take care of the rest! 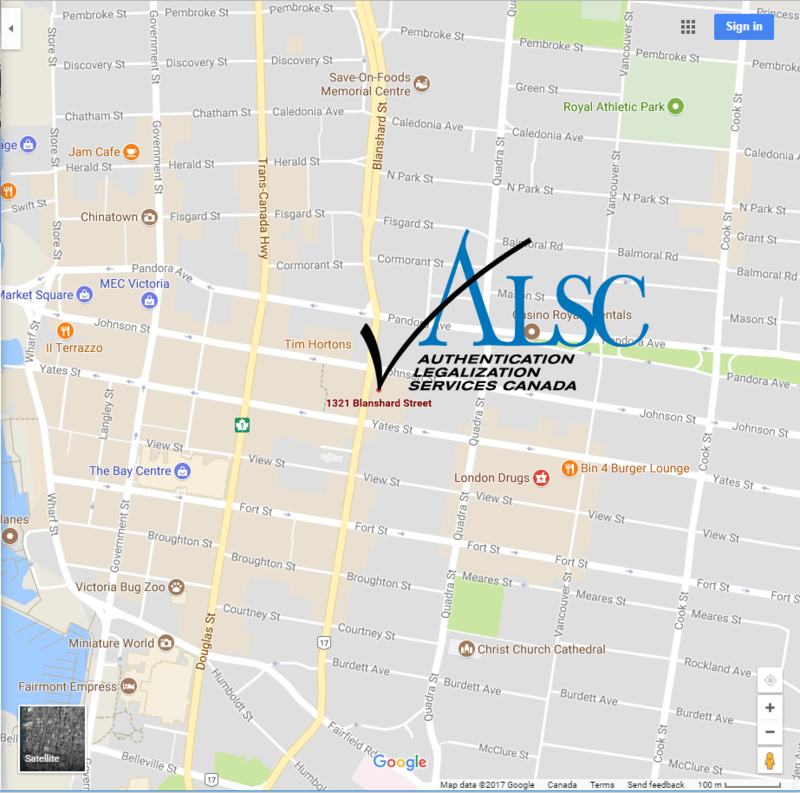 Once you have confirmed your service options we can then set up an appointment for you to drop off your documents and ALSC order forms at the Authentication Legalization Services Canada – Victoria Service Center at Suite 301 – 1321 Blanshard Street, Victoria, BC V8W OB6. They will be waiting for you at the Victoria Service Center to ship the documents overnight to our national headquarters in Ottawa, where the documents will be processed. Now we do our part keeping you updated at every step via email. Upon completion of the process we let you know when you can pick up your completed documents at our Victoria Service Center, it’s that simple. Best of all it’s guaranteed! Click below to get started with the Victoria Apostille, Authentication and Legalization Specialists.